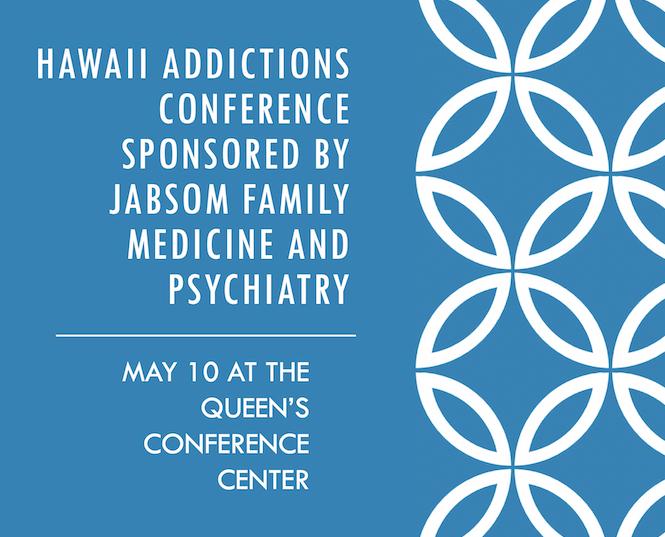 Pictured: A graphic which reads Hawaii Addictions Conference 2019, May 10, 2019 at the Queen’s Conference Center. Video-Teleconferencing (VTC) sites are available for Neighbor Island participants. Please contact Kendra Ginn at HAC@dop.hawaii.edu with any questions.